In 1978, Sonoma County (CA) Council on Women established a US Women’s History Week, tied to March 8, International Women’s Day. In 1987 Congress established Women’s History Month. Fortunately for 4-H, women and girls make up great percentages of members, leaders and Extension educators. What special activities do you have planned to honor the women in your local 4-H program? 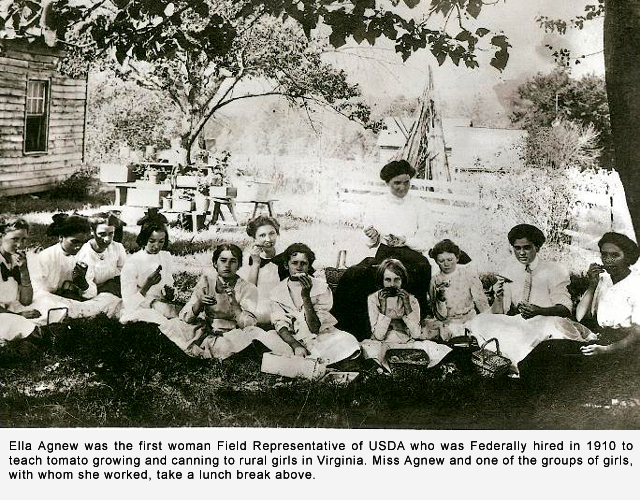 We feature two 4-H women who represent different dimensions of 4-H: Gertrude Warren was an early federal level pioneer of girls’ club work; 4-H member Martha Ann Miller was a champion baker who won a full scholarship to Purdue University at age 14. Do you know what Hopalong Cassidy, Ann Landers, J. C. Penney, and Amelia Earhart have in common? 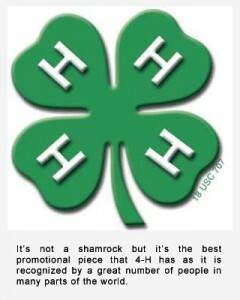 Check it out in the expanding National 4-H Promotion Compendium. From a 1919 article comes a variety of plans for bird houses, and ideas for care of birds in the Spring. Will those ideas work for your club or your community to bring history alive? 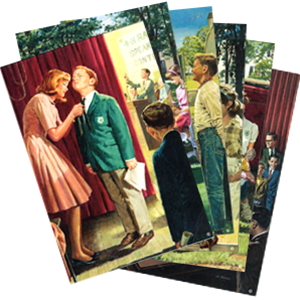 Historical 4-H calendar art postcards are now on sale through the 4-H Mall; proceeds help restore and preserve the growing collection of original paintings used for the national 4-H calendar program from the late 40s to mid-90s. 4-H became a central theme of “The Waltons,” a popular TV series, in a March, 1978, episode. Besides Women’s History Month, March is also the time we honor St. Patrick who was all about green and shamrocks. Pour a cup of green tea in his honor and to pay tribute to all the women of 4-H – and enjoy this issue. This entry was posted in History and tagged 4-H History Preservation Newsletter by Dave Benedetti. Bookmark the permalink.